What is the best time to visit the national park? The park is open to visitors from 1st October to 30 June of every year. The park is kept closed during monsoon season- from July till September. What are the weather conditions at Bandhavgarh? The summer season continues from end March to the end of June when temperature can go up to 44o c during May-June. By mid June, rainy season starts with light drizzle. The average rainfall of Bandhavgarh National Park is 1175mm. Sometimes between the months of November and February rainfall takes place due to the effect of southern cyclones. Winter season starts approaching from mid November and lasts till the end of February. During this period the weather compels the visitors to wear heavy layers of winter clothes as the mercury might go down to 20C. The open marshy hollows get covered with frost and the greenery looks impressive. For the convenience of visitors and management Bandhavgarh Tiger Reserve has been divided into three tourism zones namely Tala, Magadhi and Khitauli. A visitor may opt for Jeep Safari or Elephant Safari. Open Jeep Safari is the best way to explore the flora & fauna of Bandhavgarh National Park. In each Open Jeep 6 passengers are allowed to travel along with one naturalist and one driver. Limited Jeeps are permitted to enter inside the National Park in each shift. This has been done to avoid overcrowding inside the national Park. Therefore it is advisable to book safari rides in well advance to avoid any chance of unavailability. The elephant safari in Bandhavgarh brings three major advantages- the foremost is you can get the opportunity to experience tiger tour in a detailed manner. The second one is that you can have a very safe tour while sitting on the back of this majestic creature and the third one is that you can enjoy elephant riding simultaneously with the tiger tour. The special safari can only be attained once the park management receives the written permission from the Field Director of Bandhavgarh. The safari guide will definitely be there to assist you. What are the park timings? At Bandhavgarh Jeep Safaris can be done twice a day. The Morning Shift starts early at the time of Sunrise & lasts for 4 hours (0600hrs-1000hrs) & the afternoon if from 1500hrs to 1700 hrs. The timings are subject to daily weather conditions. The afternoon Jeep Safari is not available on Wednesdays. How do I book a wildlife safari? Go to the book now button. Choose the destination as Bandhavgarh National Park. You may choose ticket type as full vehicle permit or seat permit. Select the safari date. Bookings for every next day will be open at 11 A.M in the morning. 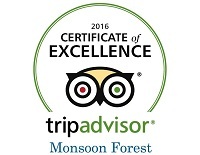 Or you can get in touch with us at Monsoon Forest. We will be happy to help you with safari bookings. What information is required to book a safari? Any Identity proof details like Passport, Driving License, PAN Card or Voter ID Card. Visitor is required to carry the same ID proof in original at the time of visiting the national park. It needs to be shown at the gate at the time of entry. What can I expect to see during the safari? The park is divided into three zones; Tala, Khitauli and Magdhi. There are more than 22 species of mammals and 250 species of birds. Common Langurs and Rhesus Macaque represent the primate group. Carnivores include the Asiatic Jackal, Bengal Fox, Sloth Bear, Ratel, Gray Mongoose, Striped Hyena, Jungle Cat, Leopard and Tiger. The artiodactyls frequently sighted are Wild Pigs, Spotted Deer, Sambar, Chausingha, Nilgai, Chinkara and Gaur. Mammals such as Dhole, the small Indian Civet, Palm Squirrel and Lesser Bandicoot Rat are seen occasionally. Will I see a tiger? It is very difficult to say that you will surely see the big cat. However, Tigers are creatures of habits, for example when a tiger wants to drink water, the tiger is most likely to go back to the same location. The chances of seeing a tiger is definitely high owing to the density of the big cats in the national park. The naturalist (your safari guide) is experienced in sighting tigers. What to wear during Safari? During the winter season beginning from November to February end necessary to carry warm clothing, jackets, gloves, mufflers etc as the morning open jeep safari drives can be freezing cold. During the summer months – from April to June the weather is hot therefore loose light colored cotton clothing is recommended Light clothing is recommended for the months of October and March as the days tend to be warm. Bright colors can disturb the animals therefore clothes should ideally be in muted jungle shades of beige, brown, green etc, preferably neutral and earthly colors. You may also carry a shawl/stole while heading for the safari as the temperature inside the park is always lower as compared to outside. Keep seated in your vehicle at any points in the park it is dangerous to get down. 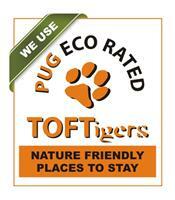 This for your own safety and the safety of wildlife. Do not wear bright colored clothes as it distracts the animal. Do not instigate the animal. Do not eat inside/litter the park. Drive slowly in the Park so that you can observe and enjoy without disturbing the wildlife. Follow the instructions given by your safari guide. Do not offer anything to the animals. Bandhavgarh National Park consists of mixed vegetations ranging from tall grasslands to thick Sal forest and the varied topography provides numerous opportunities to spot the majestic Indian tiger, some rarely seen animals like leopard and sloth bear and variety of birds. Due to high wildlife sighting it is becoming popular amongst tourists visiting India. Core Zone: 624 sq kms. Buffer Zone: 537 sq. kms. Altitude: 440 mts to 810 mts above sea level.